The Golds Gym Weight Plate Tree is conveniently deigned, with a 5-point Storage system for best use of space, so all those untidy and dangerous weights will be removed from your floor area, increasing safety and convenience. Loose weights will be a thing of the past with this Gold’s Gym 1’’ Weight Plate Tree and with protective bumpers your flooring will be as safe as your exercising. 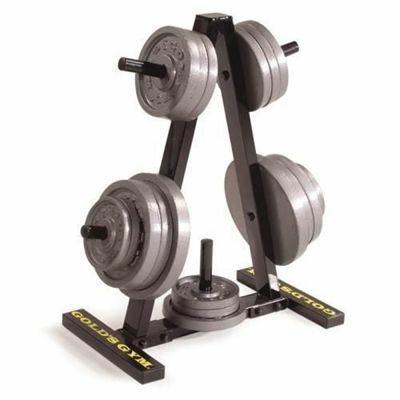 for submitting product review about Golds Gym Weight Plate Tree.